We had a Mountain TOP group come to the shop to assemble PETs again this year. The group came to the shop on May 14 and assembled 4 PETs. I think everyone had a great time, especially when they raced the PETs in the parking lot. In addition to assembling the PETs, they were able to also construct additional parts and assemblies. We want to thank the Mountain TOP group for coming to the shop to help. We also wish them the best of luck when they go on their mission trip this summer. If anyone asks you what PET-Austin does, just say we are dispensers of OPPORTUNITY. For the leg-handicapped person in the developing world who has been crawling upon the ground, or been carried about, we provide the OPPORTUNITY to have a new life of pride, dignity, hope, comfort and productivity. For the poverty community that is often in despair, depression and hopelessness we offer an OPPORTUNITY to see hope and promise for the future. For the volunteers who wants to use their time and energy to make a difference in the world we offer the OPPORTUNITY to use their time, energy, skills and contacts to dramatically change the lives of hundreds of persons who are God's "least of these." For the donor of dollars we offer the OPPORTUNITY to get one of the biggest "bang for the bucks" that there is -- a new life for only $300.00. For the business person we offer the OPPORTUNITY to invest some of their resources, skills, contacts and knowledge to help create an amazing and simple piece of medical equipment. For the NGO who has been praying for and worrying about the leg-handicapped persons in their area of RESPONSIBILITY, we offer the OPPORTUNITY for a partnership and a solution. Just tell people PET-Austin is in the OPPORTUNITY business. We shipped 9 PETs to the Penney Farms PET Shop to be included in a shipment going to Sierra Leone. This will be the last shipment of the old style PETs (old seat style). The distribution partner in Sierra Leone agreed to take this last shipment of old style PETs to help all of the PET affiliates to get the old style PETs out without having to do major rework to make them meet the new standard. 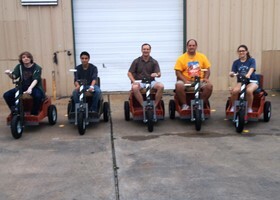 PET International announces the production of the 50,000th PET (Personal Energy Transportation) cart. This milestone was reached by the combined efforts of 21 PET Affiliates established in the United States and another in Zambia. 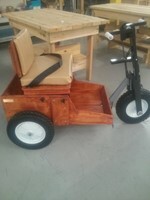 PET carts are hand cranked 3-wheel vehicles, an "all-terrain" wheelchair. World Health Organization cites over 21 Million people are leg disabled due to diseases, casualties, and birth defects. PET Mobility Project started in 1994 when retired Methodist minister Mel West and two friends, a missionary in Africa (Larry Hill) saw the need, and an engineer (Earl Miner) designed a cart to meet that need. West began production of the first carts in his garage in Columbia Missouri. From that, the volunteer organization has grown to 22 shops across the world. West said, "We have not served only 50,000 persons. Also served have been their family and caretakers, and communities." In 2004 PET International came into being as the umbrella organization to distribute PET carts, coordinate PET affiliate production sites, and communicate the need for PET carts. PI Director of Operations Von Driggs, stationed in Lindale Texas, coordinates the distribution of the carts in over 100 developing nations. Over 50 distribution partners assist with shipping containers of PET carts and identify those who will receive the carts in-country. Driggs said "There is no cost to the recipient – we reflect the love of God by giving them the gift of mobility." Each PET affiliate shop started with an inspired individual or group of volunteers and a desire to help others. 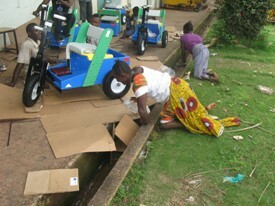 They organized their facility, recruited volunteers, raised funds for operations and supplies, and received training on how to build a PET cart. A standard design, continually being improved and coordinated by PET International, provides the design for the cart. PET-Austin (www.petaustin.org) started in 2008 as the 15th PET affiliate. Since that time, PET-Austin has produced and shipped over 500 PET carts. The 50,000 milestone represents the donations of thousands of PET Mobility Project supporters across the world. 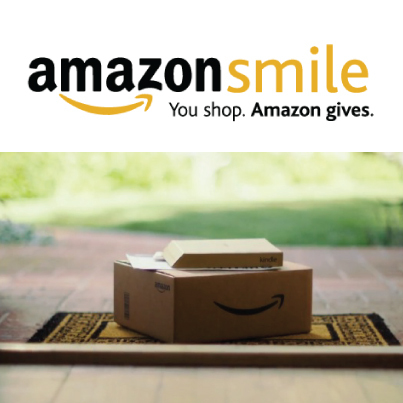 Each affiliate raises funds for their shop through fundraising events and donations from hundreds of supporters. 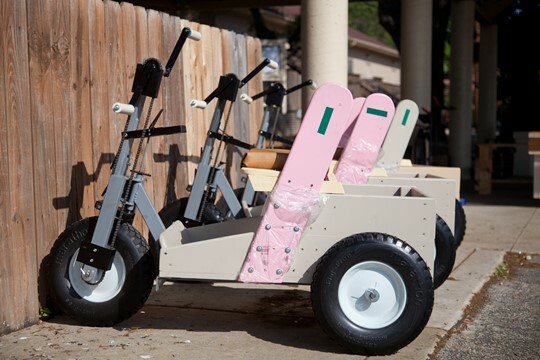 Over the years, organizations such as United Methodist Men, Lion's Club, Rotary, and Kiwanis have adopted the PET mobility cause and provided money as well as manpower to build PET carts. The 50,000 PET carts made also represent thousands of volunteers working at the 22 PET Affiliates, an estimated 600,000 hours of time volunteered, and over $12.5 million to build them. Amplify Austin was a great success for PET-Austin. With the help of many friends, we raised $9,663.00 to build PETs this year. That means 32 people will be able to get up out of the dirt and regain their lives and dignity. Thanks so much to all of our supporters. As one of 21 affiliates of Mobility Worldwide there is a common FAITH shared by the entire organization. • We are a people propelled by the FAITH that the day will come when no person on this Earth will be compelled to crawl upon the ground, or be carried about, because of leg handicaps. • We build upon the FAITH that a world that can construct mechanical and electrical devices to respond to our every whim and need, can also build the devices, both simple and complicated, to give freedom of mobility to all its citizens. • We act in support of a FAITH that tells us that the gift of mobility is one of those inherent rights alongside life, liberty and the pursuit of happiness. • We work with the FAITH that every individual, regardless of age, race, income, situation or status, can do something to help provide the gift of mobility for someone in need of such. • We act with the FAITH that it is the height of human character to be willing to give something of one's-self to aid a neighbor in need. • We work with the FAITH that every world religion, in the core of its scripture, asks for and supports active caring for those whom one calls "the least of these." • On this FAITH we stand. We can do no other.